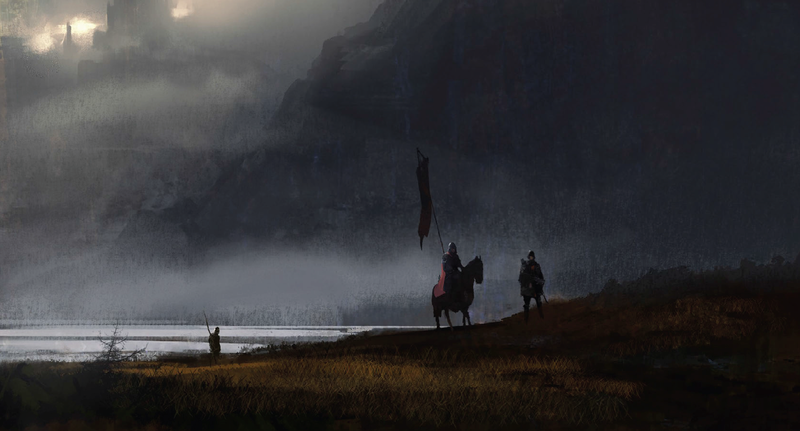 It’s artwork that pulled me into Symbaroum. And it continues to intrigue, fascinate and beguile me. Seriously, some of the imagery leaves me gawking at the screen or poking at the surface of the core book, wondering what I’m going to do with it. Often, I’ll pass an image by at first and see it in a peripheral way, only returning later to reconsider. Usually, there’s something go on that doesn’t strike you at first. Or, you pass an image looking for something and that target task means you only half-process the picture. The Goyl is an example of this – as the flying creature appears only in the upper segment of an image that focusses more on the grand expanse of the ruins and the treasure-seekers beneath, their weapons raised and ready for action. If you haven’t gone to the Kickstarter for Thistle Hold: Wrath of the Warden yet – and I doubt that this would be the case if you’re reading this, but you never know – it’s worth a pause. I mean, the video alone warrants your time and attention. The beautiful way the Järnringen team have rendered images into layers to give a 3D effect means I’ve watched the video a dozen times. The images and the poem keep me coming back. This morning, someone has posted a question on the Symbaroum Google+ Community about rules in a Quick Start – and I wanted to check out the source. I saw the link on the Kickstarter to The Promised Land – which has been available for a while from other sources and contains the introductory adventure from the Core Rules. The cover had me pause. 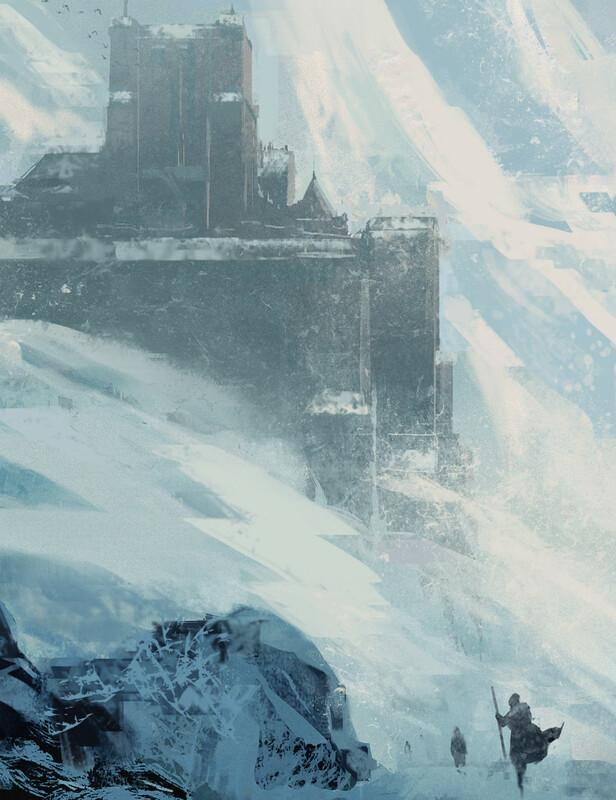 I’m not sure whether I’d considered it before and forgotten, or this was genuinely my first connection between image and in-game reality; that fortress on the snow-covered mountains must be the Monastery of the Twilight Friars. The Twilight Friars – or Black Cloaks – are the witch-hunters and abomination-chasers of the Church of Prios. For those touched by corruption, they’re something to fear. Now that I’ve sat looking at this “Monastery” for a moment, I think the fear probably ramps up a notch of two as they’re frog-marching you toward this place. Seriously – this image has my brain buzzing. I also desperately want to give mapping this bad boy a go at some point. Also, it reminds me that I have made zero progress on completing the hex map of The Mountain Pass, which I really need to return to. One thing to think about – the Friars and the other refugees have only been in Ambria for the last 20 years or so. Looking at this monastery, where the heck did it come from? Either the Friars have been here for a lot longer than 20 years or someone (or something) built it a lot earlier. That begs the question, what was in there, what’s still in there and what lies beneath? 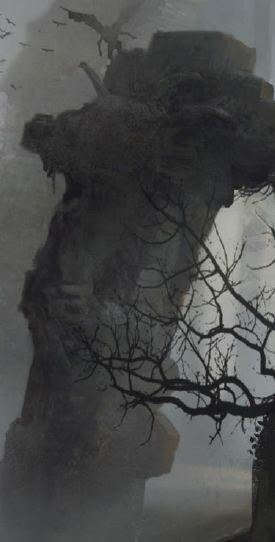 Imagery and setting material from Symbaroum have a weird impact on me and I’m hard pressed to explain why. If you haven’t gone to the Kickstarter yet, follow the link to Thistle Hold: Wrath of the Warden and give the video a look. Then download the free stuff, like The Promised Land and whatever other snippets the team has scattered around. And then go to RPGNow and check out what else the game has to offer. I’m off to find my Micron collection and some graph paper. That’s exactly my point about pictures in Symbaroum providing such a rich sense of background, setting and story. I hadn’t noticed that — so, thanks for the pointer!